Beginning in the 19th century, the lace-up shoe became popular in fashion. For both men and women, shoes became more comfortable and functional. In 1806 specifically, the laced walking shoe became available for walks to and from the park. 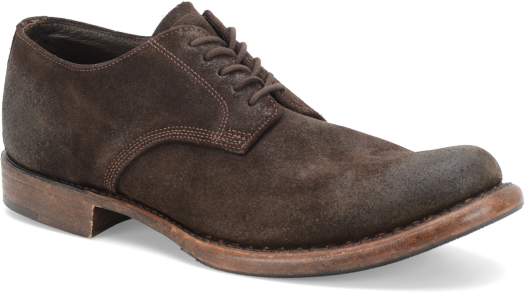 Handcrafted from distressed suede and featuring a small heel, our Judson II has a very time-honored look.